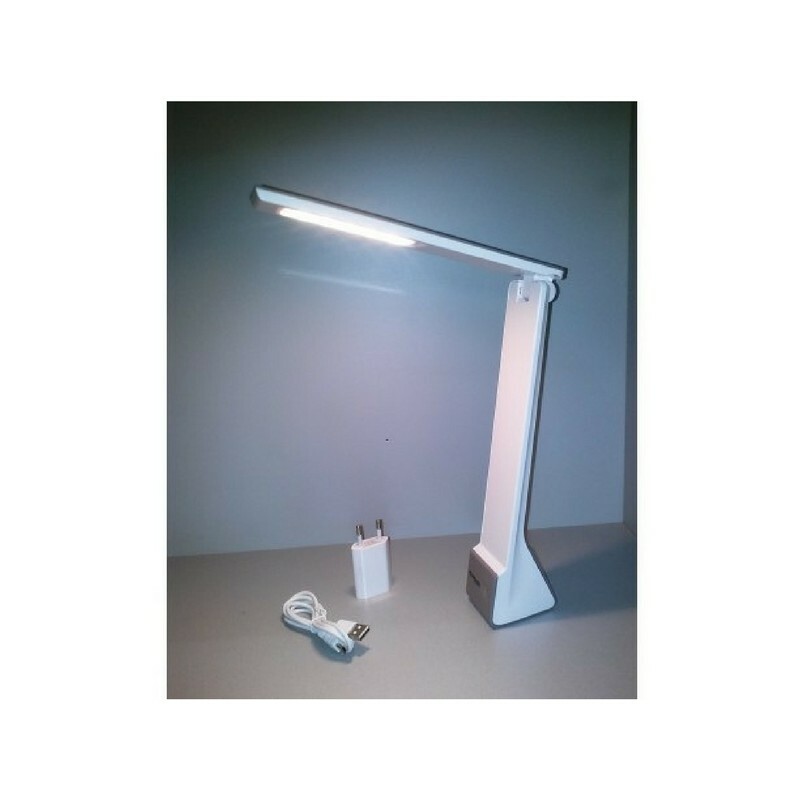 LÁMPARA PORTABLE PLEGABLE 4 WATTS 15 LEDS ALTA LUMINOSIDAD. SIN PILAS, CARGA POR CABLE USB / ADAPTADOR INCLUIDO. 3 MODOS DE LUZ: CÁLIDA, FRÍA Y NEUTRA ( AMARILLA, BLANCA, LUZ DÍA ). TEMPERATURA COLOR 2700K - 6500K.